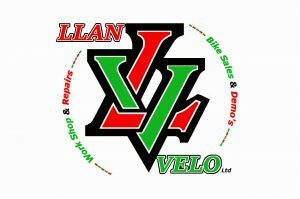 …….Welcome to Llan Velo, official stockists of Trek Cycles and Bontrager accessories based in Llangollen, North Wales. Our staff are lifelong cycling enthusiasts who are passionate about all things bike related. All bikes in store are available as Demo Bikes allowing you to fully experience the technical excellence of a Trek before you buy. The area surrounding Llangollen provides some amazing routes that are perfect for a demo day. We aim to provide boutique style while maintaining corporate level of customer service. All Trek frames have a lifetime warranty and we offer a 30 day money back guarantee on all Bontrager product purchases. We offer a full workshop facility and have a local ‘pick up/drop off’ option available on all bikes being serviced. Call in to say hello and see what’s on offer, talk bikes and have a coffee…we are on the A5 side of Llangollen just by the traffic lights. More information will be posted in the next few weeks, but from myself (Dan Basford) & Jay thank you and hope to see you soon.